MPD’s Tenth Precinct Stable, a Link to When Washington Patrolled with Mounted Police | Park View, D.C.
MPD 4D Substation at 750 Park Road NW, originally the Tenth Precinct building. I’ve previously posted some history about the Metropolitan Police Force and the construction of the Tenth Precinct building on Park Road in 1901. The creation of the Tenth Precinct and the construction of the police station were responses to the expansion of the city limits and urban population into the areas now known as Park View, Columbia Heights, and Mount Pleasant. Reforms in the D.C. police department in the latter decades of the nineteenth century had led to the enlargement of the force and creation of the new precinct. The Tenth Precinct covered a large geographic area — bounded by the District line [north], Queens Chapel Road NE, Eighteenth Street NE, Brentwood Road, T Street, First Street NW, Channing Street, College Street extended, College Street, Barry Place extended, Barry Place, Florida Avenue, Q Street, and Rock Creek — which could only effectively be patrolled by mounted policemen at the time it was established. The Tenth was not the only precinct to have mounted police. According to a 1903 article in the Washington Times, mounted police were also employed at the Third precinct (1 officer), Fifth precinct (5 officers), Seventh precinct (11 officers), Eighth precinct (1 officer), and the Ninth precinct (8 officers). The Tenth precinct had 5 mounted police officers. The Tenth Precinct stable, now serving residential needs (View from alley). The Tenth precinct station house is one of the more impressive buildings in the Park View area. Rightfully so, it was place on the National Register of Historic Places in 1986. But there is another building associated with the police station that isn’t on the National Register and, I’ll bet, unknown to all but a few … its stable. 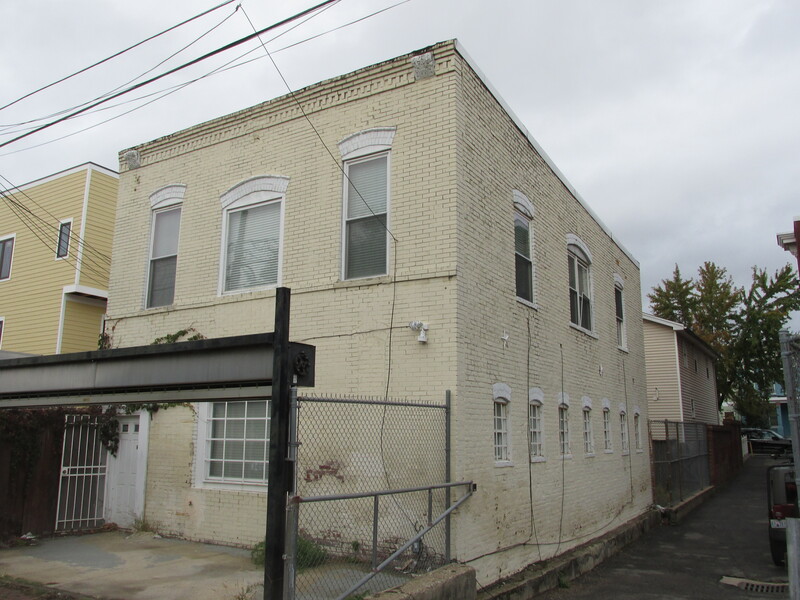 The Tenth Precinct stable is currently privately owned and has been put to residential use, but anyone familiar with stables and willing to walk down the driveway to the alley behind the precinct building will quickly recognize it. As far as urban stables go, its impressive. 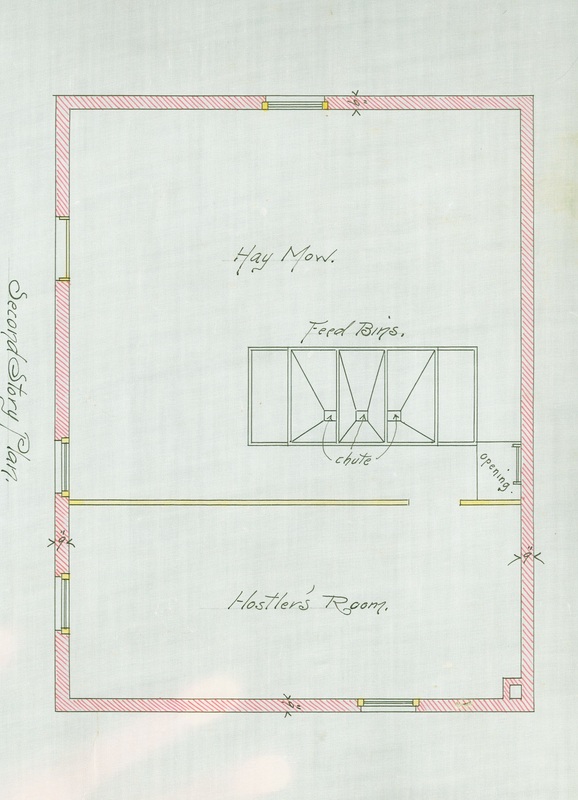 It contained seven horse stalls, a hay mow, and probably a hostler’s room. While many of the windows have been replaced over the years, by and large the building contains a tremendous amount of its architectural integrity, especially where the stable windows are concerned. Often times in old stable buildings, one will find that the window apertures for the horse stalls have been bricked in. In this police stable, that happily isn’t the case. One of the two decorative corbels showing face detail. The building also has some rather ornate stone corbels on the alley elevation that are unusual for a stable. 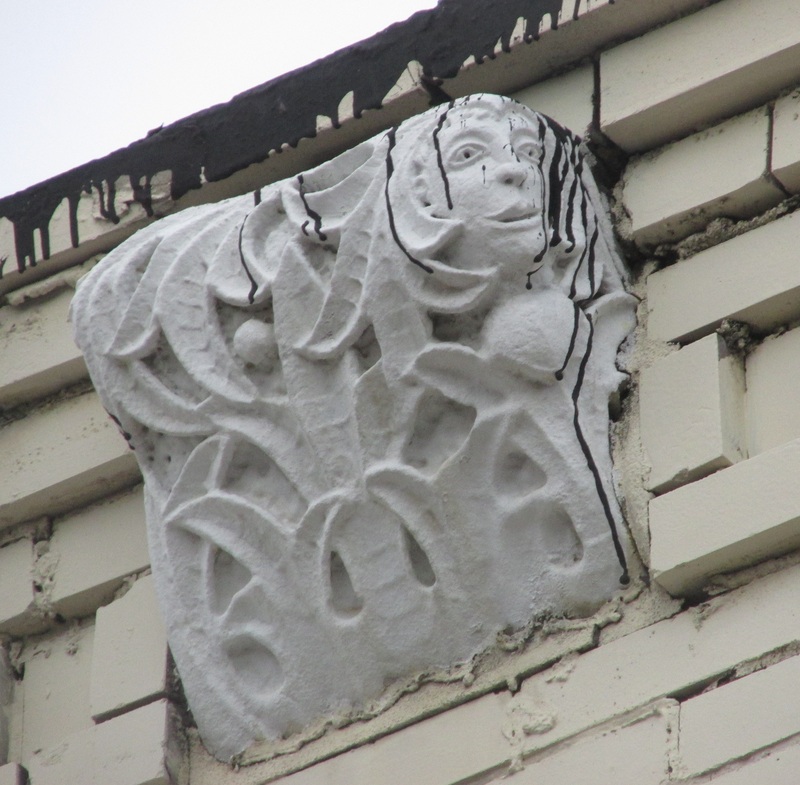 The highly carved corbels are organic in nature, but each also includes a face. Such decoration is most often seen on residential architecture. 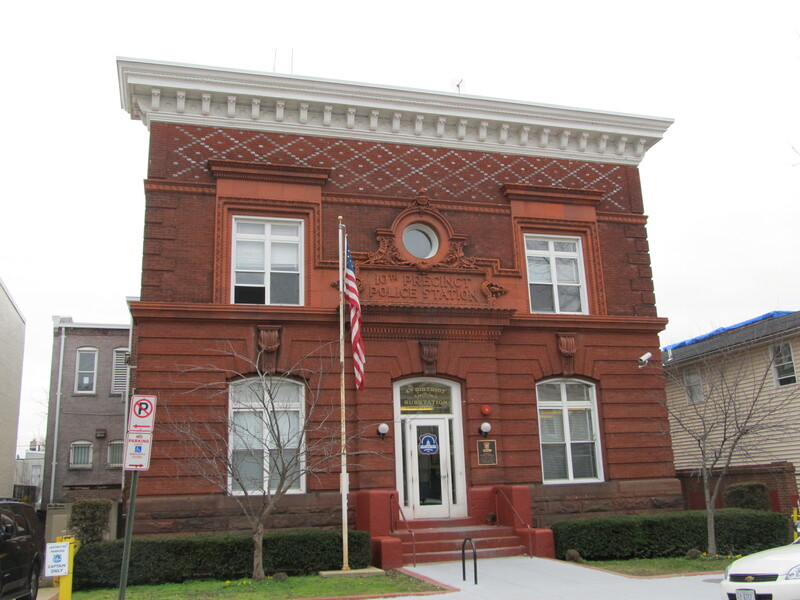 The Tenth Precinct wasn’t the only police station house to have a stable, though its highly possible that it is the most substantial and complete example still standing. But, before that claim can be made a thorough inventory of police stables will need to be undertaken. 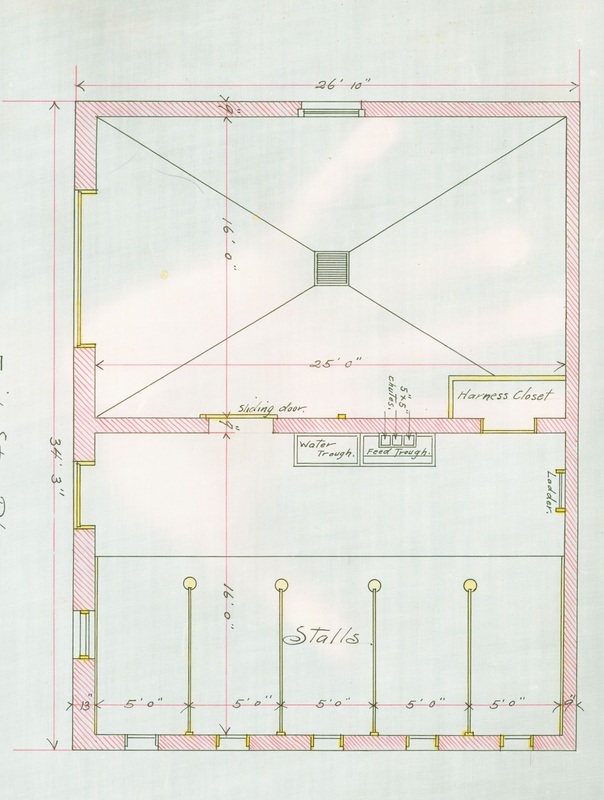 Floor plans for a smaller, though similar, police stable from the period are below. A review of them gives an indication of how the interior space was laid out and used. This entry was posted on October 17, 2014 at 7:01 am and is filed under Architecture, History, MPD. You can subscribe via RSS 2.0 feed to this post's comments. I love the story of Houdini’s “escape” at that station.